Upload your documents for license registration ,Investor/Partner and dependents visa applications where applies . This service is to apply new GDRFA Establishment card (also called immigration establishment card and online visa services) this is mandatory card to apply any investor or partner visas with Dubai online visa services access . This service is available once your license has been completely registered in Dubai mainland then we can apply your three years investor/partner residence visa under your business license. Choose if one investor or more partners from drop down menu. Allows you to issue investor/partner visa inside UAE and change visa status without having to travel out of UAE in order to issue the visa and change visa status inside country . Don’t tick this service if you will be out of country during visa application process , we will email your visa to you to use it while entering back in UAE to procees with medical fitness test, emirates ID application and visa stamping in passport. Allows you to apply for your dependents husband,wife,son,daughter,father,mother etc.. Dependent visa is valid for three years . select number of dependents from drop down list. You can avail this service once your investor/partner has been stamped in passport and Emirates ID application has been applied. This service is to apply new MOHRE Establishment card (also called MOL Ministry of labor establishment card ) this is mandatory card to apply any employment visas under your company . 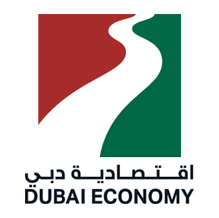 (No need to rent an office to issue your license if you select one of these) Dubai Economy approved sustainability contracts are good option for startups to reduce their initial business setup costs in Dubai , Including inspection allows you to apply investor visas and 4 employment visas and without inspection allows you to get investor visa only . Tick this box If you wish to have Corporate Sponsorship instead of Local sponsor as shareholder for your LLC company also called corporate nominee sponsor additional fee of AED 3000 (USD 821) applies per year . Memorandum of Association notarizing at Dubai public notary (MOA & Investor or their authorized signatories must be present ) this will take couple of hours or less. Once payment voucher is issued whatever is the difference need to pay as the amount mention in the breakdown is estimated rate only. Investor / Partner Visa fees fees not included you can choose to apply if you are not UAE resident during checkout process . Government actual receipts will be provided. Cost does not include investor, employment or dependent visa fees of the company and office space rent. * You can either choose local sponsor or corporate sponsorship for your company . ** You can either choose sustainability contract with inspection if you wish to apply for employee visas or without if you want only your investor visa. Foreign Trade name fee of AED 2000 not included . License is usually issued within 1 to 2 days from the date of application in the department, if no external approval is needed for the business activity.